Philadelphia’s heavy psych rock collective THUNDERBIRD DIVINE have unveiled details and information for their highly anticipated début album. ‘Magnasonic‘ is set to be released from Salt Of The Earth Records on January 11th, 2019, and promises to be one of next year’s most exciting releases. The four-song, 30 plus-minute recording was produced by the band with help from Ted Richardson at TedAudio in Philadelphia and Charles Newman (who also mixed the album) at Cottage Sounds Unlimited in Brooklyn, NY. 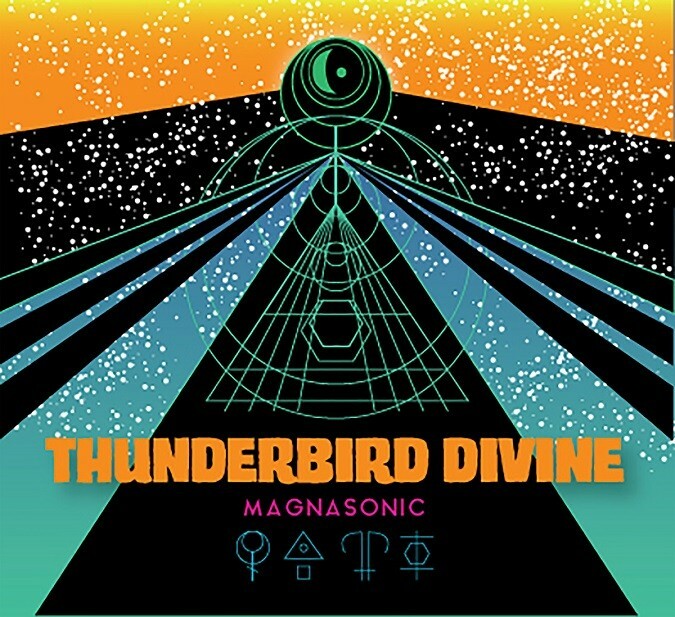 THUNDERBIRD DIVINE – Adam Scott (bass / guitars), Flynn Lawrence (guitars / misc. instrumentation), Mike Stuart (drums / percussion), and Erik Caplan (vocals, guitars) – have been generating steady interest and hype since the band’s formation in early 2017. Much of that has been fueled by the quartet’s diversely outside-of-the-box, genre warping musical creations, ones utilizing uncommon elements like the marxophone, electric sitar, piano, and a variety of synths in their contents. Below, you will find the ‘Magnasonic‘ album artwork (featuring a custom art design by the band’s Adam Scott), track list, and a non-album track promotional video for “Djinn Au Jus“. It is a perfect example of the band’s knack for making highly unique music, in this case a meshing of early ’90s R&B with ’70s arena rock components. THUNDERBIRD DIVINE have scheduled several upcoming live appearances, including sets at the Ode To Doom, as well as the Riff Relevant sponsored New England Stoner & Doom 2 Festival. Pre-order for the ‘Magnasonic‘ album will begin on December 7th at this LINK.